A thread for Little Miss Perfect, Riho Sayashi, one of the new Morning Musume 9th gen Members! The cute and all-pro dance machine has all the makings of a future frontgirl. Great expectations! So this is the girl from the cap I posted, it seems. 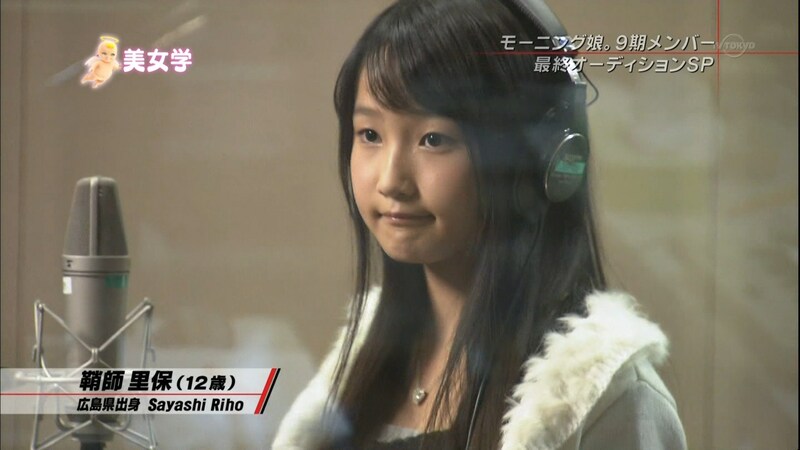 Riho Sayashi. Looks like I picked myself a pro! From JC&JK Audition... Says Fashionable there... Wut. Here at 11, must be older than that now... or maybe not. 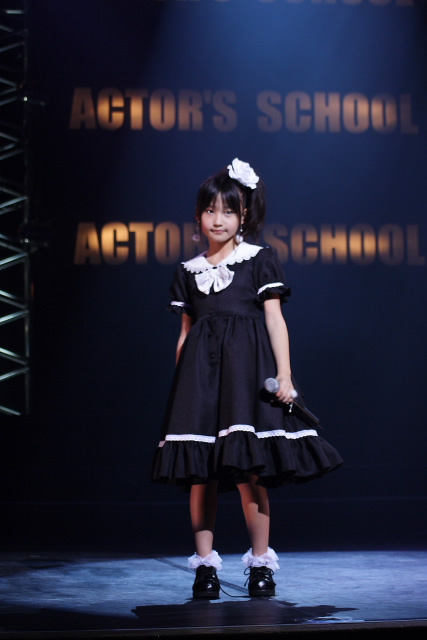 More pics from all kinds of perfs from Actor's School Hiroshima and whatnot. 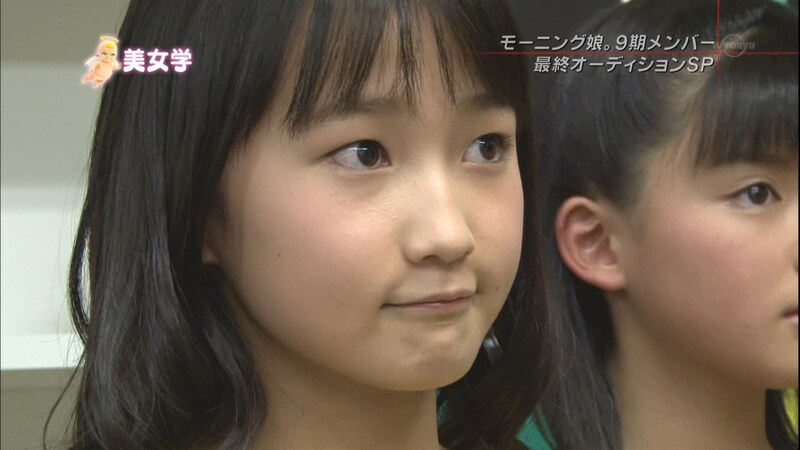 Ok this is a gif-filled post about Riho, since I think she's awesome as hell, and everyone seems to at least like her, well everyone with a love for talent and good pair of eyes and ears. Riho's gonna own every single current H!P girl in dancing, probably without breaking a sweat. This stuff is fierce as hell, and she seemed to learn everything really fast. ...this girl is going to be sooo beautiful later on. 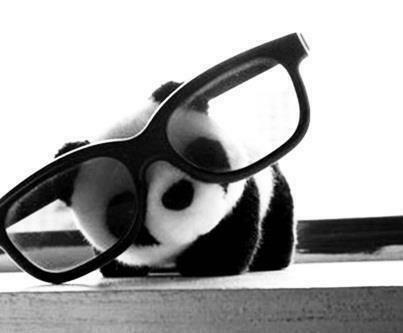 I just know it. So, since Sayashi isn't that common a surname, they put the reading in the news stories. It's good, cause an uncommon name is a distinctive name, and distinctiveness is always a plus for an idol. Accordingly, the other Sayashi of note is a baseball player for the Hiroshima Carp and is (supposedly) her uncle! H!P management would've been totally stupid NOT to pick her...an all-around performer who shouldn't have any problem picking up on the group's elaborate repertoire of songs and dances despite her age. Though according to Baseball Reference and the stats on that Wiki page her uncle doesn't seem to get much playing time...hopefully that won't be the case for this girl. 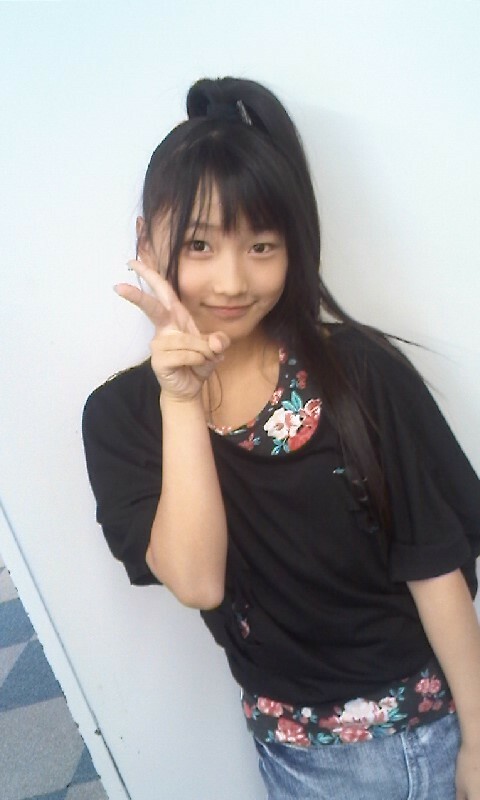 "HI, MY NAME IS RIHO AND I WILL ROCK YOUR SOCKS!" Aww, looking great here. Her hair pretty damn long, too. Posing... and goofing with Tsunku. It's a Kodak moment. She totally looks great in there, they all do really. High hopes for this generation! OMG! I'm back to this forum only for the new gen and this girl!!! I had lost my interest in MM long time ago =( then I read about the graduation and I was so sad Kamei was leaving that I just wanted to kill Tsunku XDDD but then I started following the news about the 9th gen again and saw this girl she's amazing. she is gonna have a lot of good opportunities that's for sure! I will come back to MM only for her cause I really liked her, I have the feeling really good things will arise for MM this year! 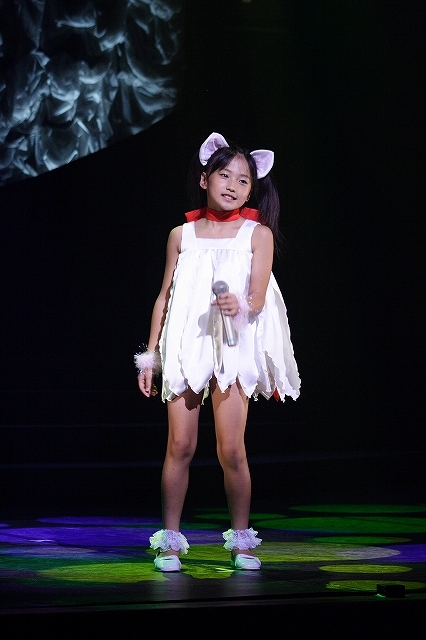 She has such big potential I'm pretty sure she'll become really important for H!P soon! 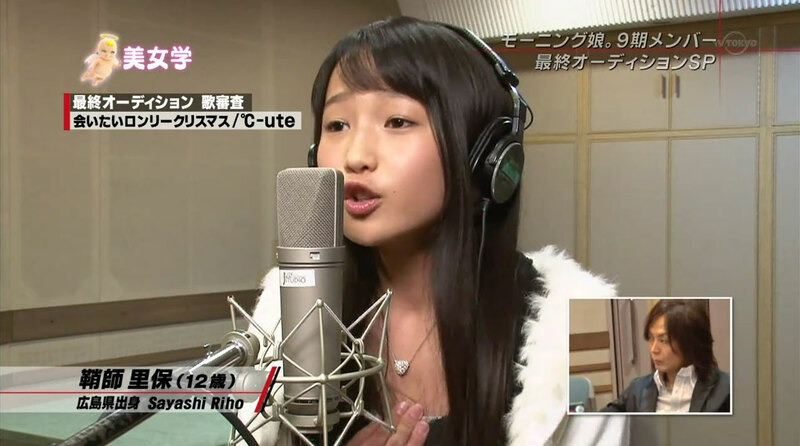 In her intro speech Riho said she wants to lead Morning Musume some day. That's the spirit! She struck me as too talented during the audition; that kind of thing will put loads of pressure on her fellow 9th gens. But judging from their comments on stage, they're all ready to give it their all, so having Riho turn into insta-center may get them just frustrated enough to out-practice her. 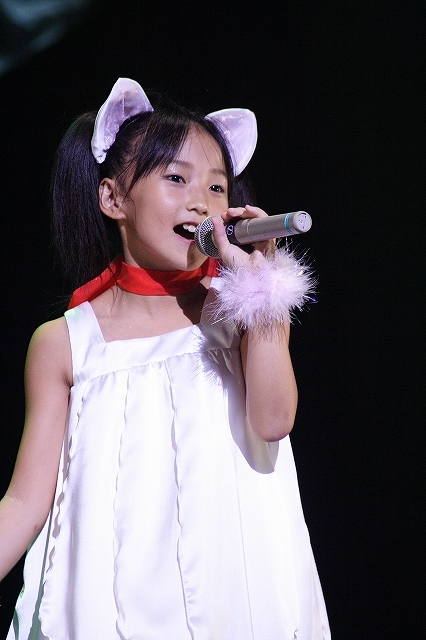 Her ubertalentedness and the mention of her "studying dance" on Bijo Gako made me look her up, where I found out about her performing at Actor's School Hiroshima since 2006 - longer than Aika's been in Morning Musume. "Great," I thought, "this girl just wants to take whatever route is quickest to get into showbiz; if she lost here, she'd show up as an AKB Kenkyuusei in a week or two." Then I checked the names of the songs she was in: Halation Summer? Anataboshi? Kaccho Ii Ze Japan? Uwaki na Honey Pie? Maybe it's coincidence, or maybe she's been aiming for H!P all along. That, along with her winning the audition to share an appearance in Fashionable's Osaka performances is a little bit of testament to her H!P love (or just her eagerness to pounce on any chance that comes along). 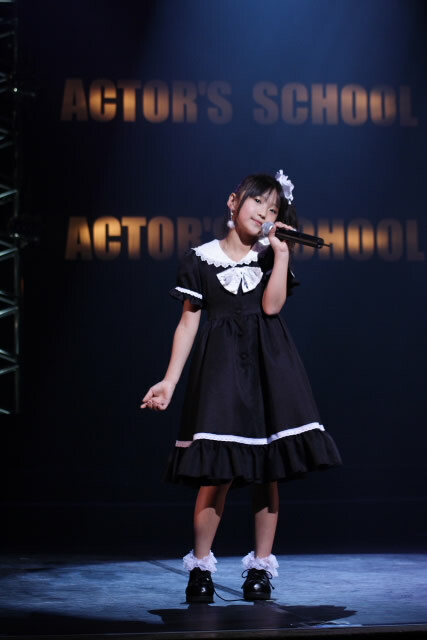 It does strike me as odd that between winning the Fashionable audition and winning this audition, she appeared on stage for ASH's autumn performance festival, even though both auditions required that you not be signed to any production agency. Another suspicion: based on some Perfume interviews, ASH is split into classes based somewhat on talent and potential; Nocchi was a part of this class while A-chan and Kashiyuka were not. 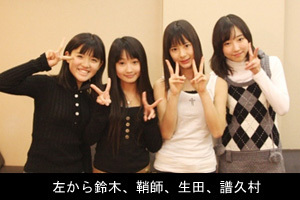 From 2006 to early 2009, Riho was part of the A Class; after autumn 2009 she was in B Class. No idea which is the "good" class, but Riho was appearing in several units for almost every concert since she joined, and if the pictures are indication enough she was in the center of a lot of them. She even got to sing solo for two concerts in a row, singing an 80's idol song each time. 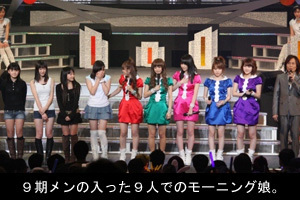 One way or another, I can't wait for the newbies to go on Music Japan so Riho can meet Perfume. So after all that Googling I've decided I like her OK, but if she makes Aika call her "Senpai" I'll pour vinegar in her cereal. And if she makes Sayumin sad I'll dye her eyebrows purple while she sleeps. ^ That post is one hell of a comeback after 5 years!!! Who said anything about a comeback? 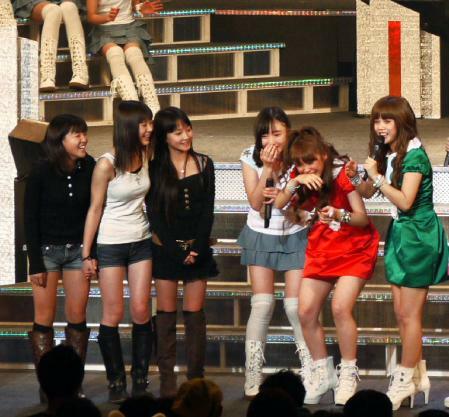 Maybe it's been 5 years since I posted about H!P, but not a day has passed in that time that I wasn't following the news and cheering on my favorite girls in my own way. I just don't talk about it much anymore, that's all. Oh what up ranter! Great post, thanks for all the info. I remember when wading through the Actor's school pics I noticed a few H!P songs here and there, but I never really bothered to try and make that connection. I've been just concentrating on her mad skills and how cute and confident she was throughout everything. But the Fashionable thing helped me believe in her chances (and her possible genuine interest in H!P), even if the UFA selection criteria have been cryptic at best. Quote from: maliciel translations inc.
Well I feel a need to post here, especially since Philo also came out of the woodwork for it. As with many others, Riho was the one who I thought that perhaps could be a new ace, if only Tsunku would actually grab her up. Then of course there was the thought that surely he wouldn't since she's too good... but glad that was proven wrong. I really look forward to seeing how she develops within MM, although unlike some others I'm not quite ready to anoint her as the next coming of The Goddess (tm, Meiji Lythtis) quite yet. Her dancing is definitely killer, and will be a welcome complement to Ai in that respect (also to help compensate for what was lost with Eri), but I'm not sold on her singing yet. 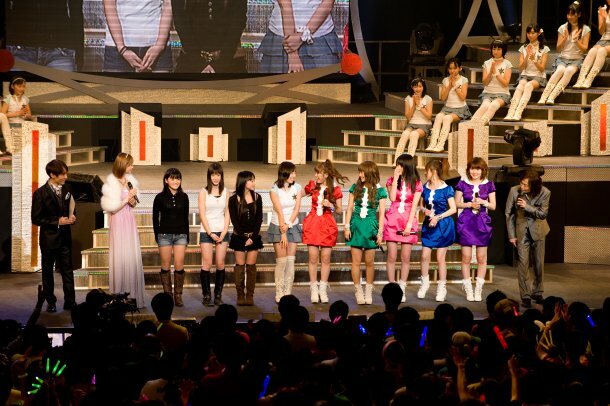 That said, I believe she's still ahead of her fellow new H!P members in that respect as well. From what I've seen, Mizuki could potentially give her a run in that department. Anyway, that's the analytical portion, but now the gushing... I love how the girl moves, and she is the cutest thing. Hopefully she'll make MM more exciting to watch again, and also perhaps come out of her shell (since she's seemed a bit shy outside of performance so far)! Bunch of silly info like fave food (peach) and colour (pink) and stuff. Mentions that she has a little brother & sister. Page created in 0.535 seconds with 18 queries.